Hangouts, Sparks and Circles keep Google plus apart from any other social networking sites. To attract Google Plus to online Video Game Lovers, Google has launched Games for its social networking site. You will find ‘Games‘ option on the right side of ‘Circles‘ button just above streams . 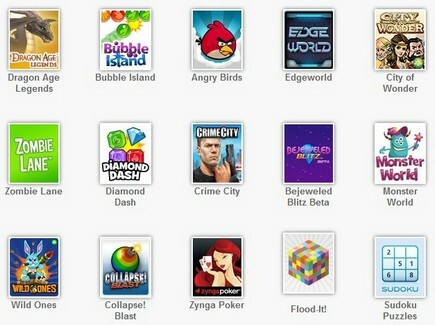 Click on it to play 16 different games starting with most popular Angry Birds, Diamond Dash, Bubble Island and many more. The games score will be updated on a separate Games page. Anyone in your Circles who is interested in latest updates will have to just visit Games page. Just downloaded a really fun football game on my DroidX called Gridiron Geezers. It’s a slingshot/physics style game like Angry Birds. Lot’s of fun.